Pretty and comfy apartment perfect for 4. The great thing about this apartment is that it's located near many public transportation options. 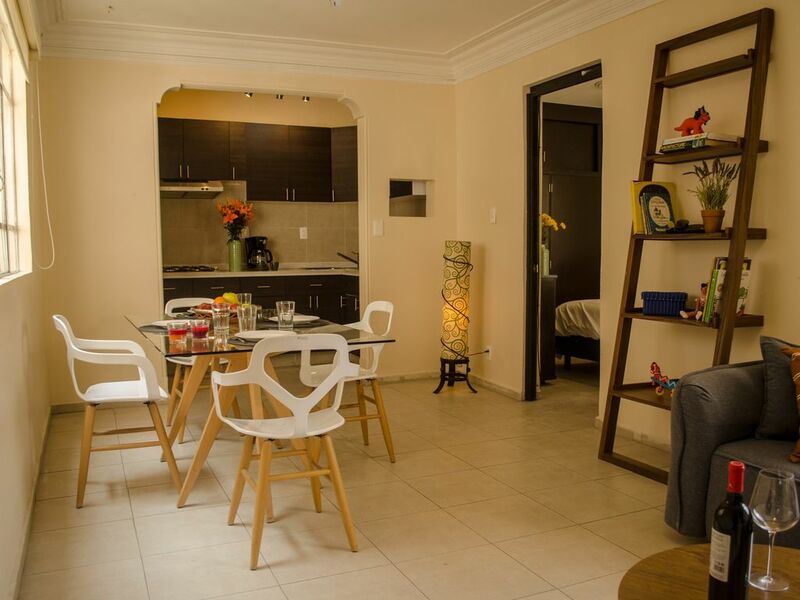 The apartment has a very nice and trendy design, so you can enjoy your stay. The neighborhood it is in is very calm and with many restaurants, you can eat out, or order something. The apartment is fully equipped with a complete kitchen.